There’s no greater feeling in the world than opening your eyes in the morning and being delighted by what you see! 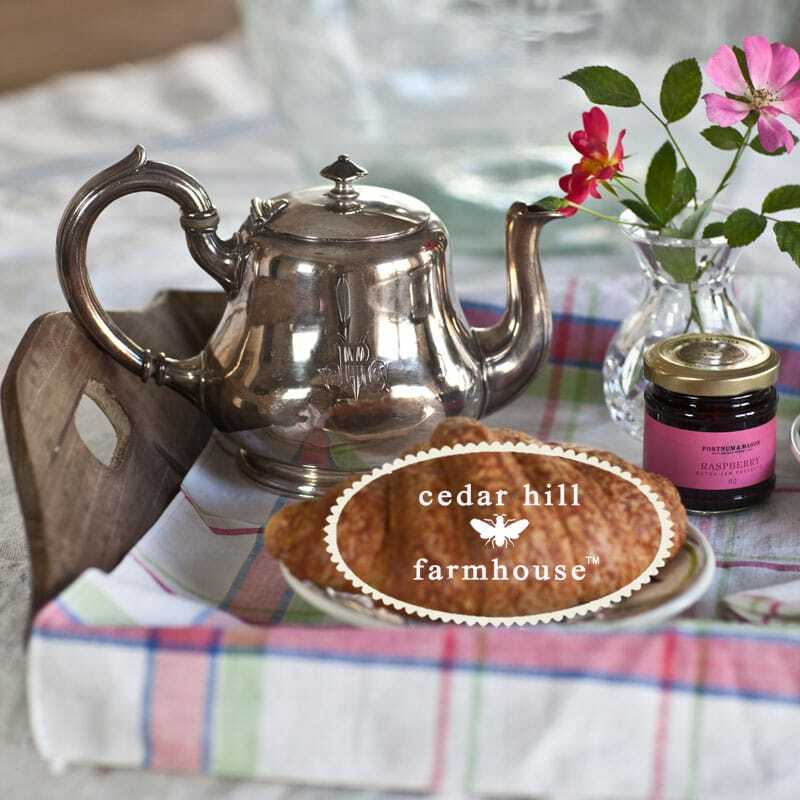 Throw in a few pleasures to the senses like aromatic coffee and delicious croissants and you have the makings of a great start to your day. I’m a firm believer that one of the keys to happiness is pleasing the five senses. 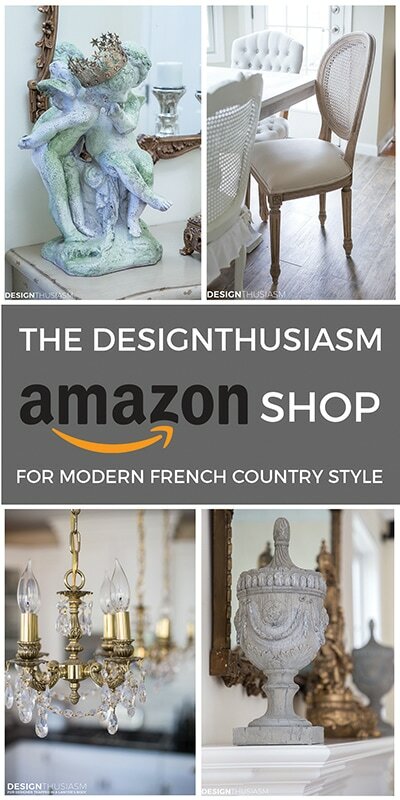 My love of French design stems from a desire to surround myself with lovely things and to lace into my daily routine delightful simple pleasures. I discovered not so long ago that most of the stresses in my life could be tamed, at least a bit, by altering my rituals to accommodate such graces. And the best place to start was with my morning routine. 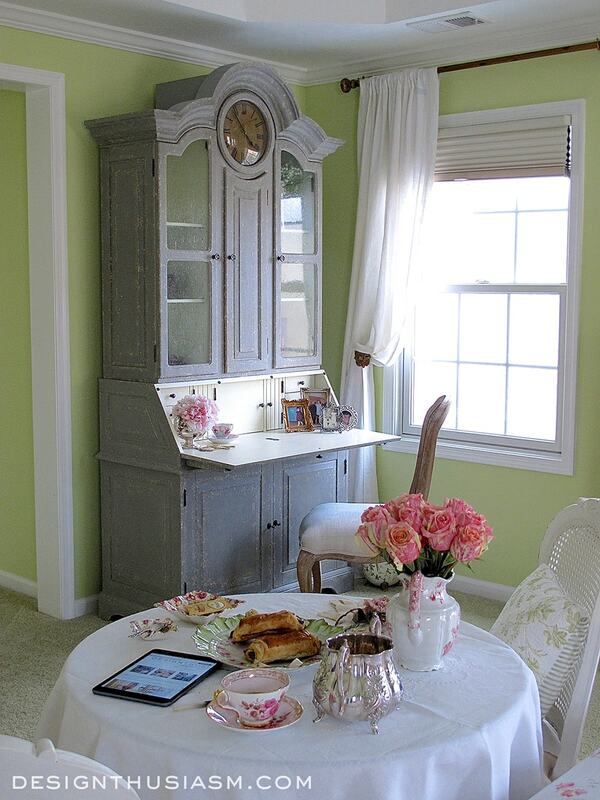 So, I set a pretty place at the foot of our bed to begin my day and enjoy waking up to croissants and coffee. Now to be fair, I don’t really have croissants every day, but oh how wonderful would that be? Yet I noticed recently that my morning routine was in dire need of an overhaul. Like most of us, I wake up and the first thing I do is check my email and then tend to get lost in a technological vortex that I don’t emerge from until at least midday. My epiphany was that if I was going to get sucked into this online world, I at least needed to do it from a beautifully appointed and intentionally set perch. So my day now starts at this alluring bistro table. I’m fortunate to have four windows in the bedroom and love to be awoken by the sun streaming in (no blackout shades for this girl!) Once I get myself together, it’s so much easier to face my email when I feel like I’m having breakfast at a café in France. 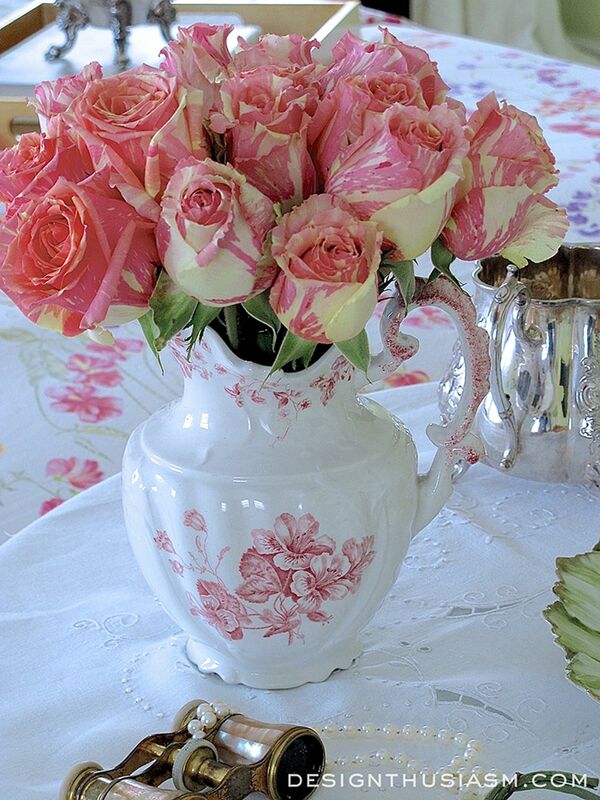 Of course, the very first thing any breakfast table needs is a vase brimming with handsome flowers and I found these gorgeous two tone roses at a local market. (If you’ve read my posts before, you know I’m botanically-challenged and couldn’t begin to guess the proper name of this rose. If you know it, by all means share with me in the comments below.) I tucked them into a petite transferware pitcher found recently at an antique shop. When I finally tear myself from the electronics and get ready to face the day, I use the elegant French secretary in the corner as a dressing table. I love that the varied nooks and crannies allow plenty of storage options and the spot next to the window is ideal for natural light. I’ve always been a fan of vintage chintzware and these sweet little dishes are just the thing to complement this little repast. 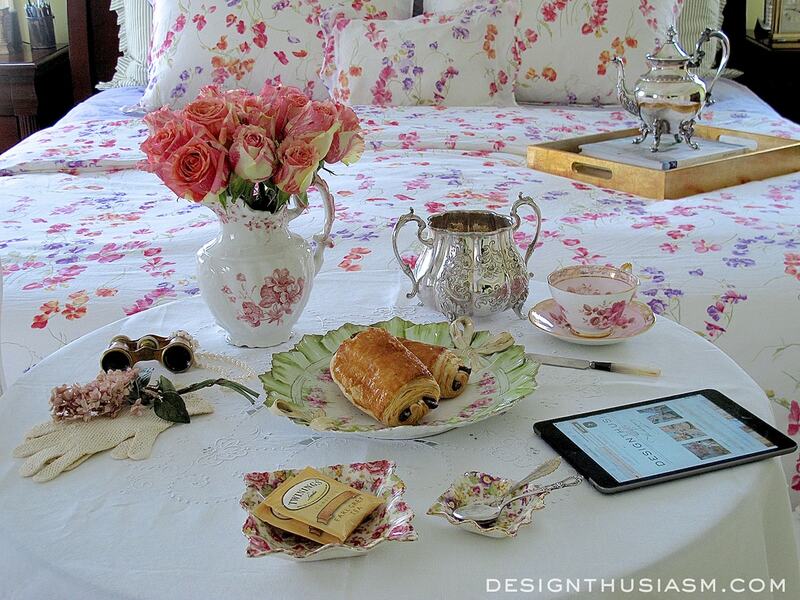 The floral works perfectly with my Pois de Senteur (sweet pea) bed linens from French maker, D. Porthault. 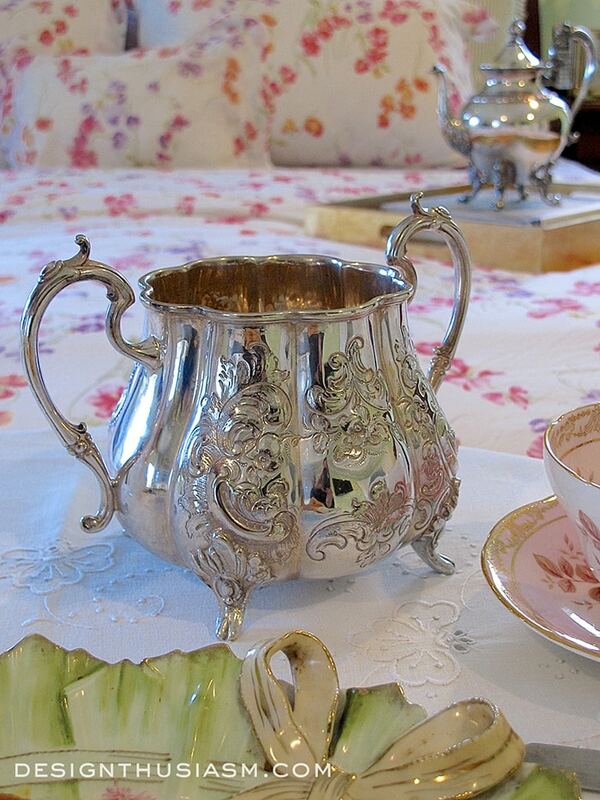 An enchanting silver sugar bowl adds a glimmery touch to the early morning table setting. 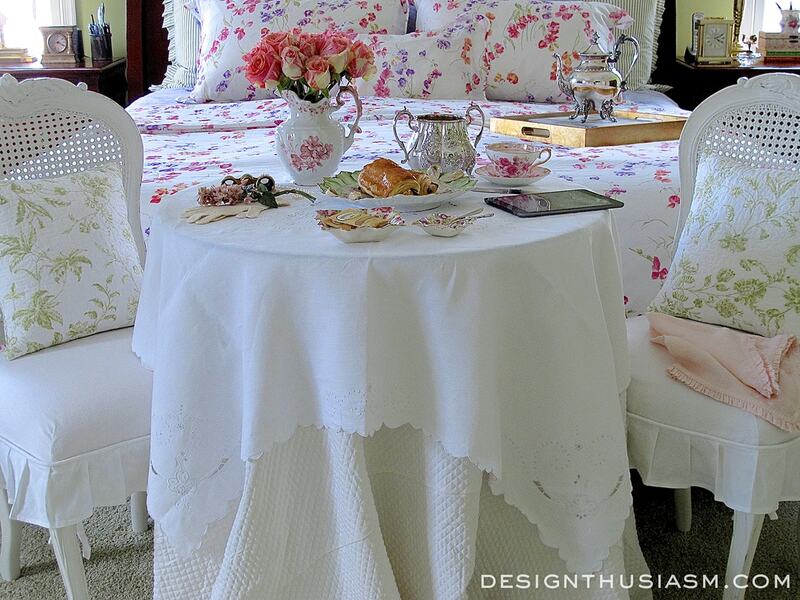 Flanking the table are two cane back Rachel Ashwell “Darcy” chairs with white linen ruffled chair covers. 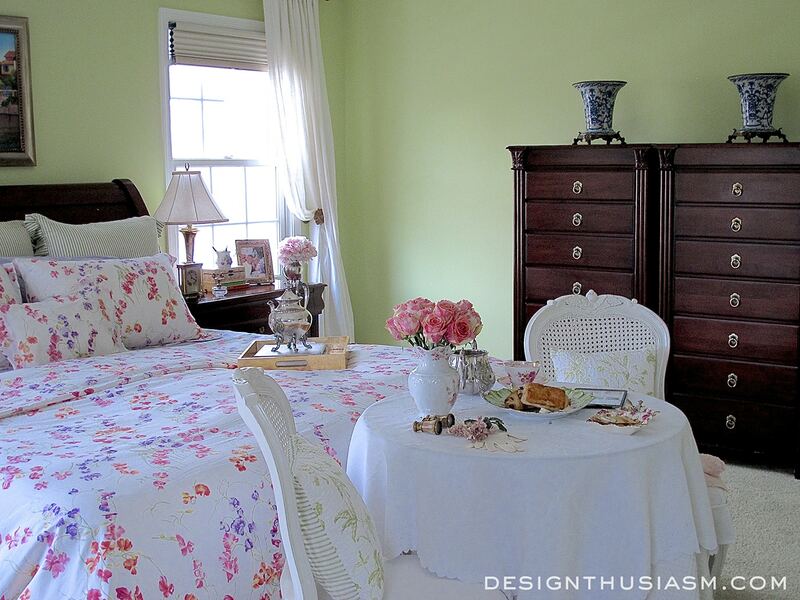 The dainty green toile pillows enhance the French mood while providing a bit of luxe comfort. 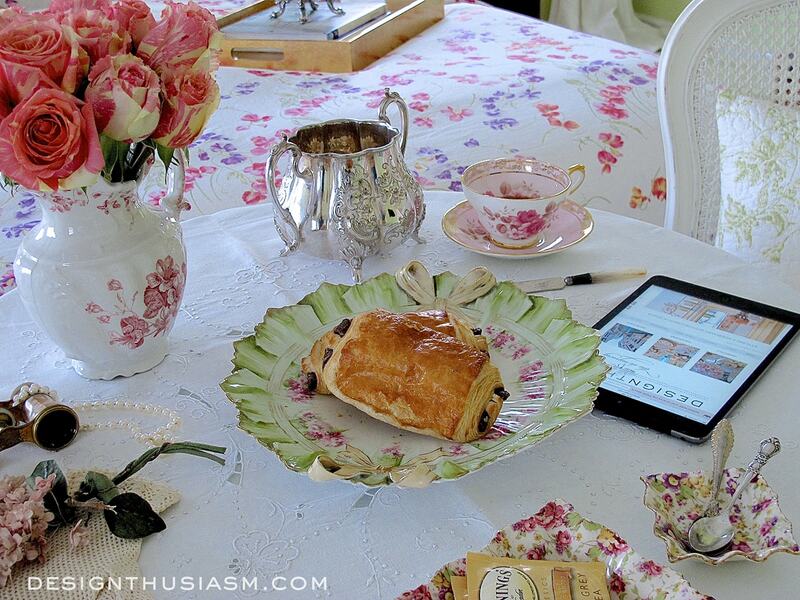 As hubby leaves early and I work alone in the mornings during the week, my table is set for one and I like to add some pretty feminine touches to the tabletop just for fun. Whether you work outside the home or in some capacity within it, we all can benefit from a peaceful start to the day. Claim your tiny little corner or as much space as your home can offer and set it up to work for you with the things you love most. Every ritual can be approached in the most pleasant way possible and if you value a calm start, I highly recommend waking up to croissants and coffee. 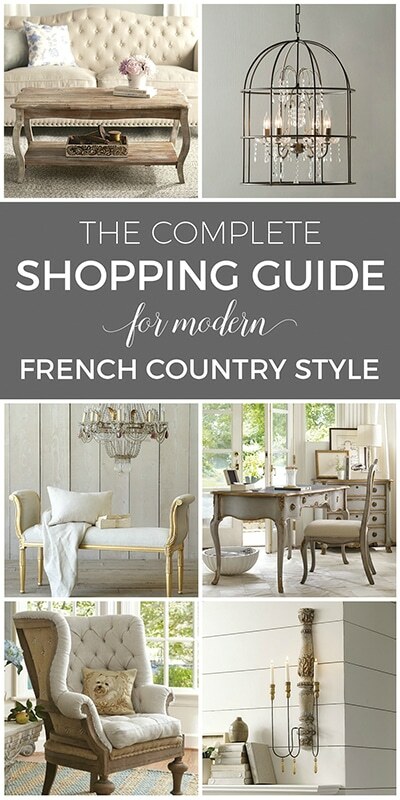 I’m joining with 5 other bloggers to bring you this French Country Design Series. 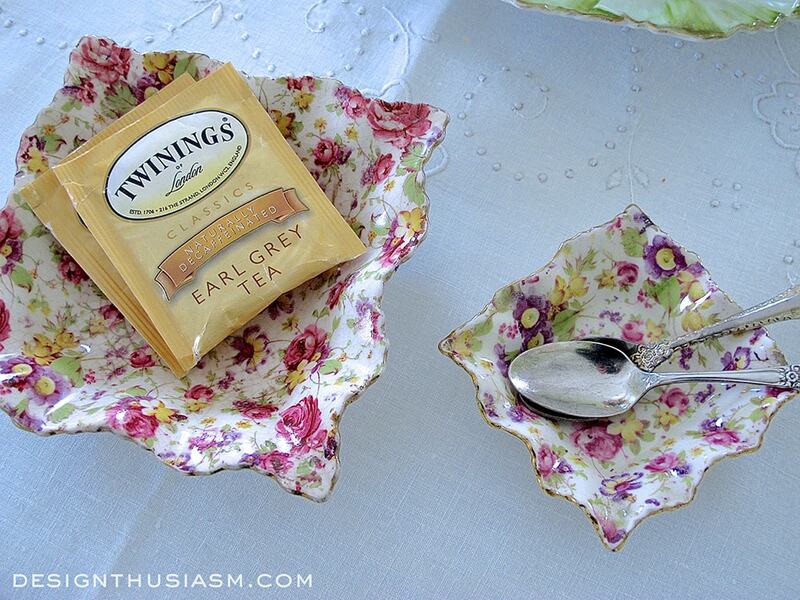 Love, love, love the beribboned porcelain serving dish…and everything else! Thanks, Teddee! 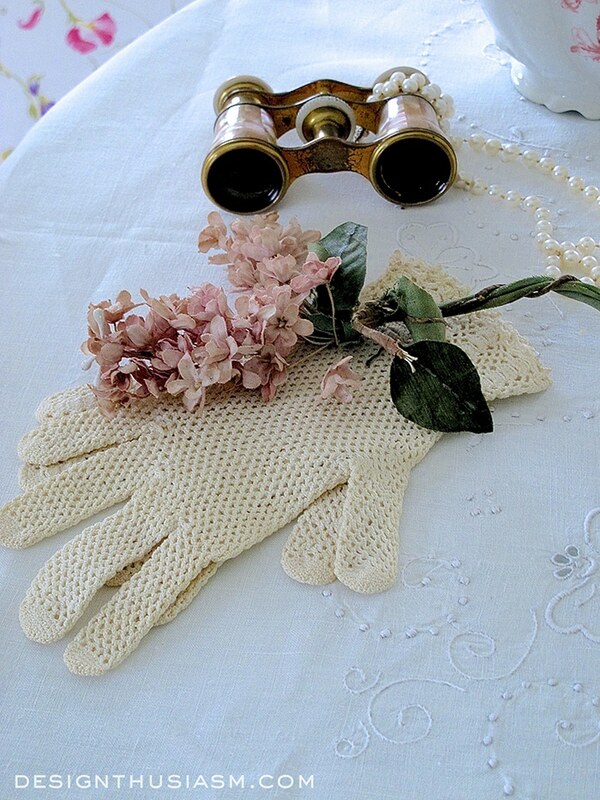 I spent a delightful day at an antique market and really found some great stuff… 🙂 Thanks for visiting!! What a lovely setting. 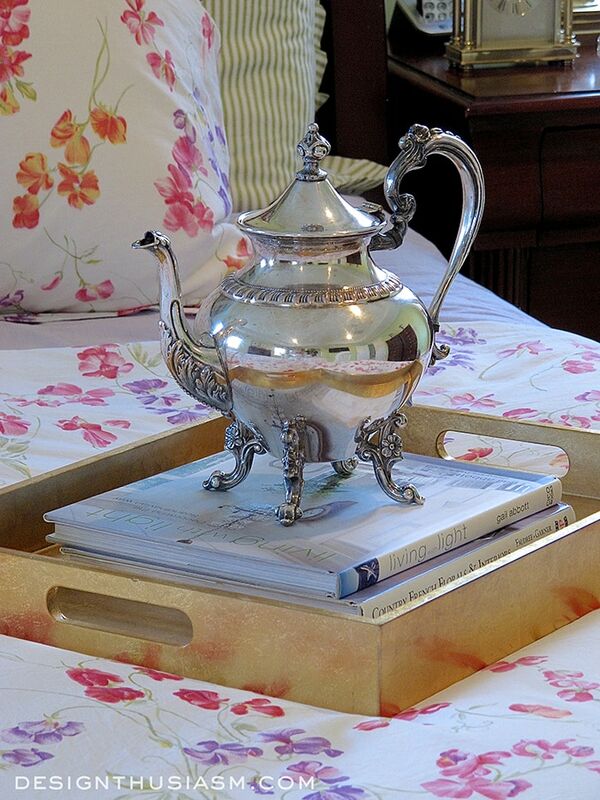 The linens and the China are beautiful. Those roses are so pretty- I looked to see if I could find a name for them but no luck. 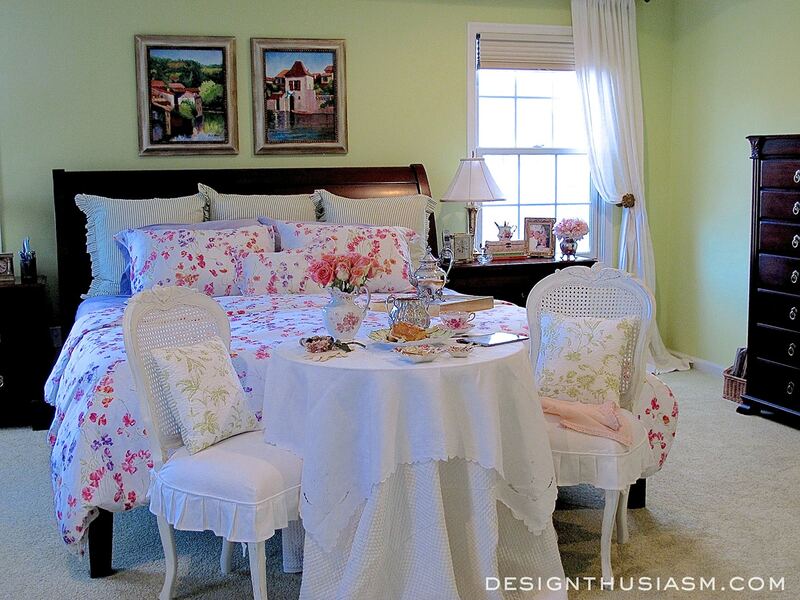 I love the bedding and the beautiful green wall color. I enjoy waking to the morning sun too. Your room really is a treasure and I’d want to stay in there enjoying it a lot! The croissant is making me hungry! 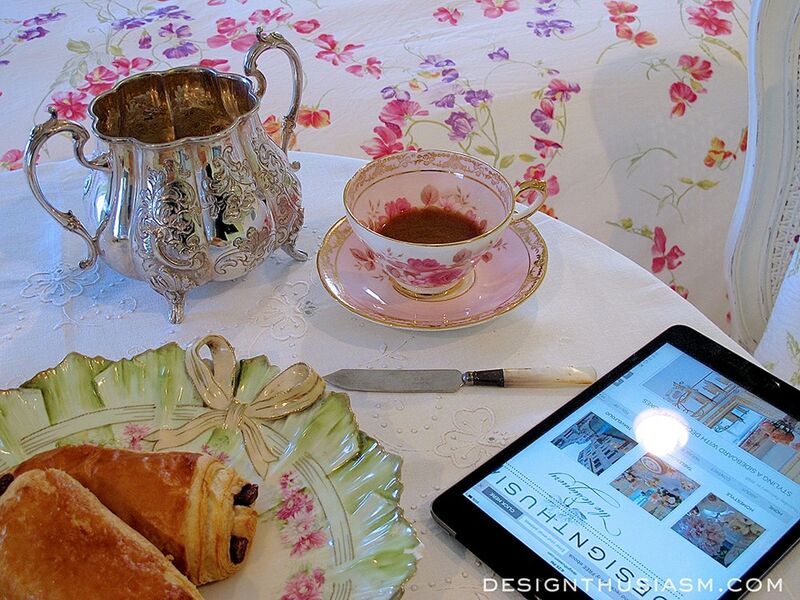 What a beautiful way and room to start the day!….I can relate to the technological vortex!…The table setting is gorgeous with the exquisite china and silver that sit upon the amazing layers of linens…Love the bedding….it lends to such a cheerful sense to begin and end the day!…Have a wonderful day Lory. What a beautiful way to wake up every morning. I love the table at the foot of your bed. The china is absolutely beautiful. Nice to start your morning in such a peaceful way. Very pretty Lory! I think a table set like that in the bedroom might convince me I’m in some part of France in a beautiful little boutique hotel. What a lovely way to start your day. Thanks, Nancy! That is absolutely what I was going for… 🙂 The more my home feels like France, the happier I am!! We can all pretend that you eat croissants everyday, because wouldn’t that be nice? 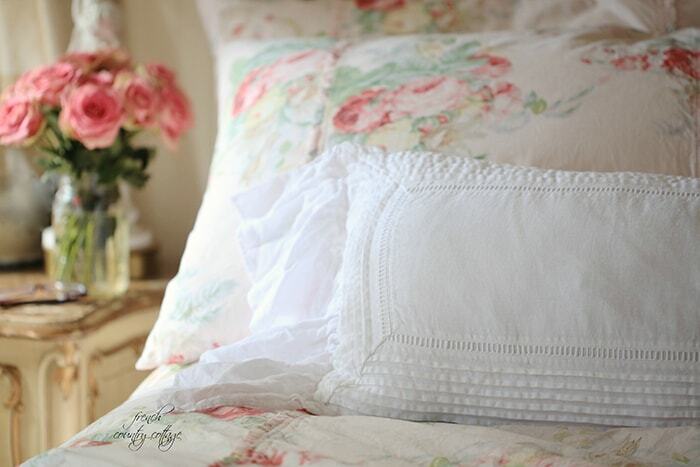 Your bed linen is so pretty. I have a major crush on that secretary of yours! 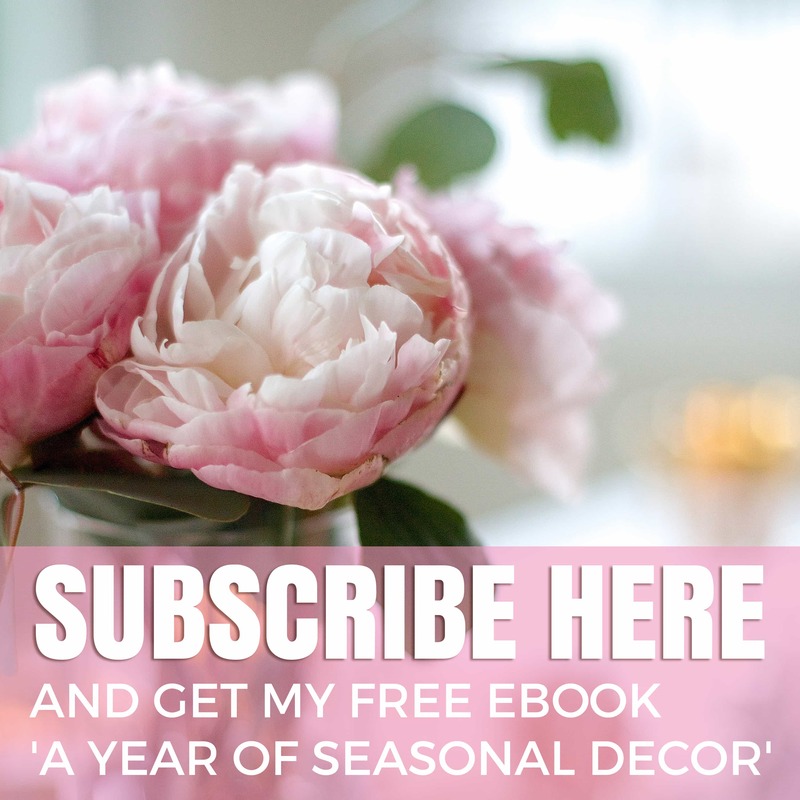 So pretty Lory- love the romantic patterns and colors in your room. Thanks, Kate! 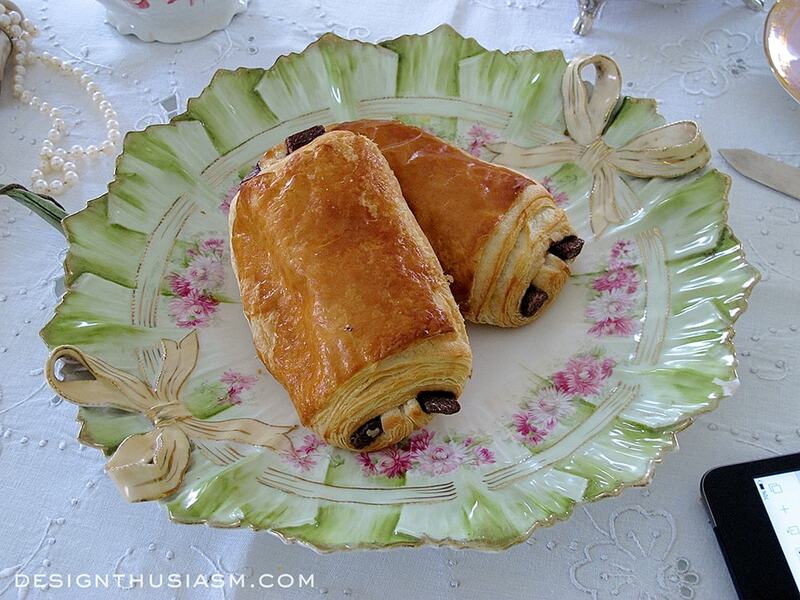 Yes, it’s hard to turn down croissants in the morning… 😉 That’s why I can bring them in every day!! Thanks for visiting! What a happy looking bedroom…great place and great way to start the day. I always try to start my day with an hour to myself before facing the rigors of everyday life. That’s also when I take a moment to give thanks for all I have been blessed with…makes the day look much brighter and just seems to make things go much smoother. Enjoyed looking at all your beautiful things…it’s like being in an exquisite shop. It’s looks like such a beautiful breakfast. I love it!! So pretty! 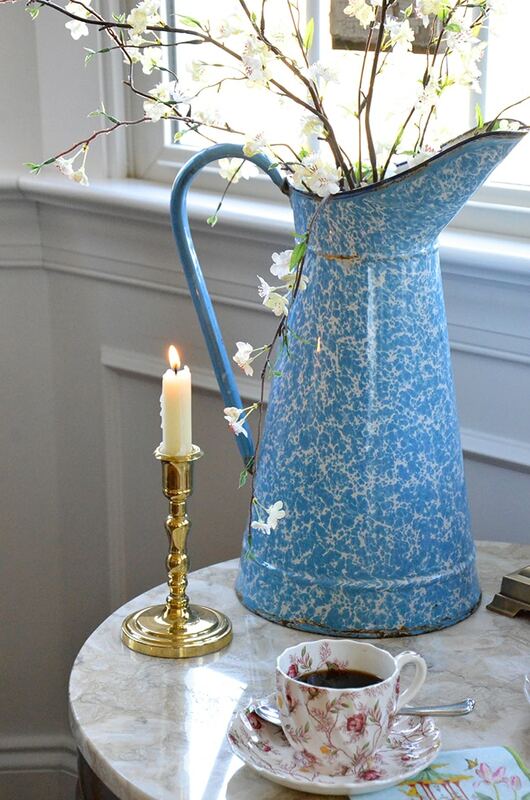 I DO believe that adding something lovely to one’s morning ritual/tea makes a huge difference, by carrying the memory of such an indulgence throughout the day. I, too, found this out, and it was last summer when I was “working from home” two days a week. What a luxury that was, and yet, I was able to accomplish much more than having to commute 2 hours a day to the office. If only I can convince my partner that I need to do that again (I work AND live with him. . .). Oh,well! Thank you for showing us these beautiful possibilities. Oh what a lovely way to wake up! The roses are gorgeous! Thanks for joining Home Sweet Home! Just beautiful! I love that plate, so pretty! Thank you so much for your support of Thoughts of Home on Thursday. We are thrilled to have you. Amazing charm. 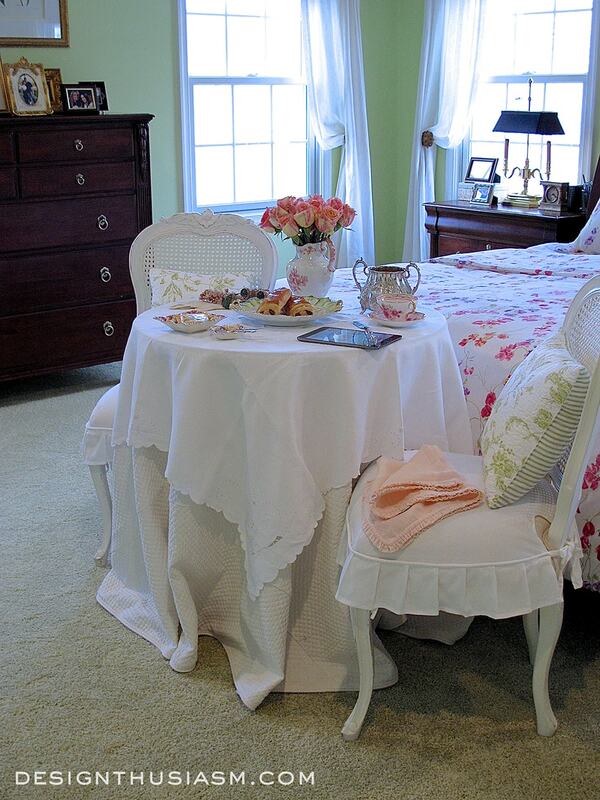 Love the table set at the foot of the bed. 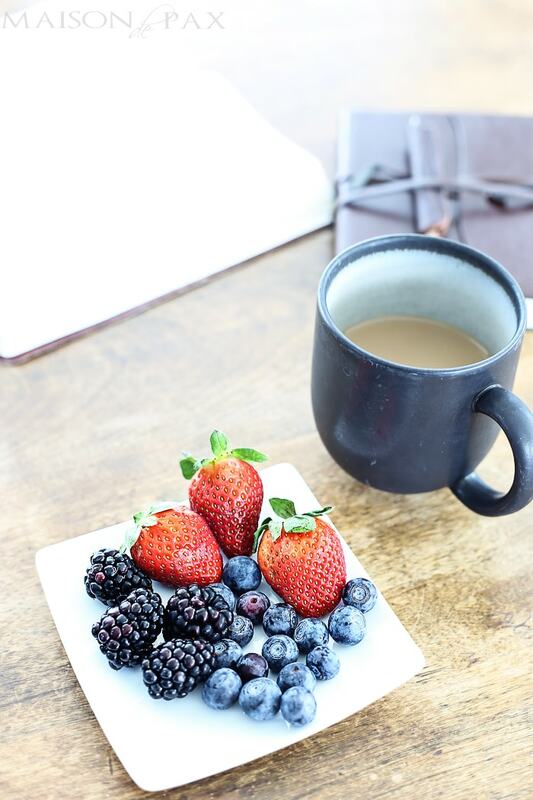 The thought of beginning a day like this is just dreamy. BTW, I like your use of color in the room as it is a bit of a departure from the typically neutral grays and blues. 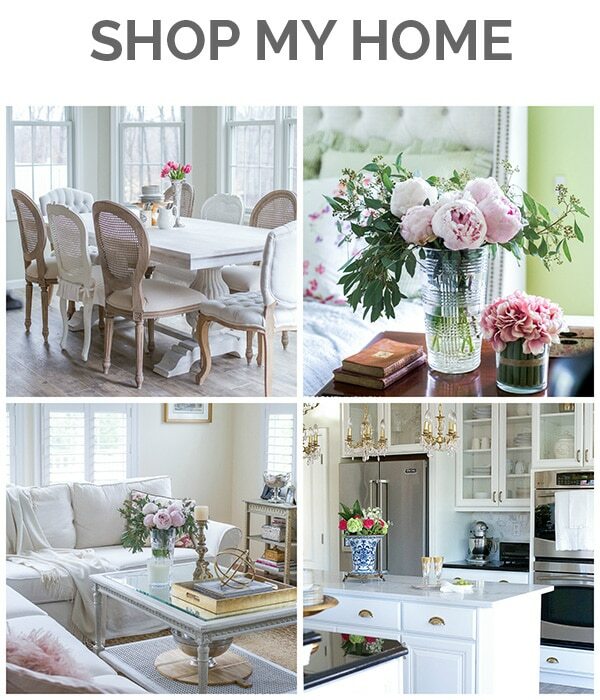 I am IN LOVE with that antique secretary Lory! You can’t imagine how badly I would love to have one like that!! Thanks, Sheila! The best part is, it’s not actually antique… 😉 It’s from Soft Surroundings and it’s called the Selma Secretary. I didn’t link to it because they didn’t have it in stock last time I looked, but always worth checking back. Thanks for visiting!! Hello, I just love your posts and your bedroom furniture, would you mind if I asked where you bought it? The lovely plate!! 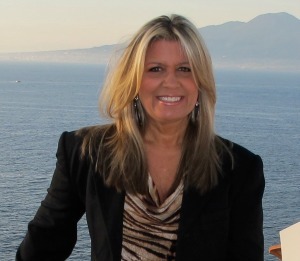 And fabulous secretary…. Just lovely. 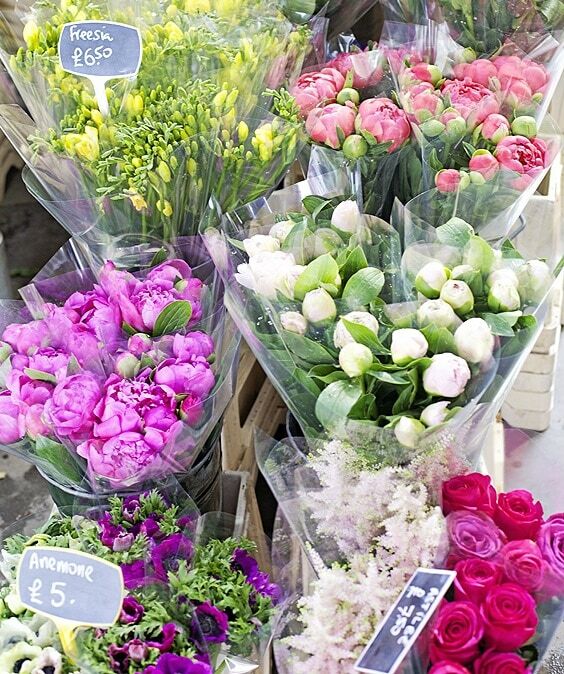 And those roses— will have to keep my eyes peeled for some, so pretty. I am usually up before the sun–not what was planned for my older years! I thought I would sleep late every day, Ha 🙂 Our great room all the way into the kitchen has a wall of south facing windows some going up to twenty feet. Every day I make tea, sit on the couch with our sweet Yorkie and watch the sun come up over the Boulder mountains. Such a beautiful peaceful time. Lovely — nothing like breakfast in the bedroom. Your silver pot is lovely! And those roses — oh, my!